New York, N.Y. Using visual cues from the paintings of Caravaggio, Indian filmmaker Bedabrata Pain has produced a triumphant film, Chittagong, that screened in New York last week. It is based upon a little-known episode leading to Indian Independence: a group of schoolboys who, with the help of their teacher, temporarily toppled the British a decade before the Union Jack was removed permanently. Although Independence was gained in 1947 through Mahatma Gandhi’s non-violence (Satyagraha), growing up hearing stories of the American Revolution I could certainly understand the desire to raise arms against colonial rule. The film tells this story brilliantly. Riveting and spectacular,Chittagong is the Gandhi for our age. A trailer for the film is available on-line. 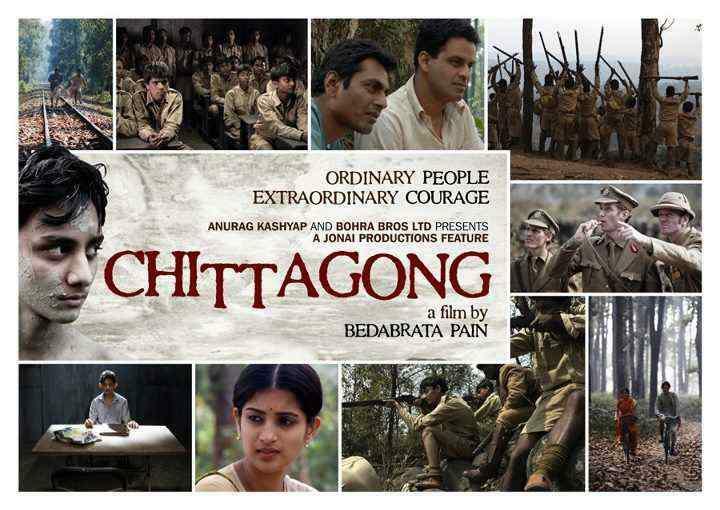 Image: www.chittagongthefilm.com. This story had to be told: Kids standing up to the British Empire and its army. Although the story had to be told, I was left with how best to tell it. We needed character development – the kids.The main protagonist was a 14-year old named Jhunku. We interviewed him on what turned out to be his death bed in a nursing home in Calcutta. He passed away two weeks after we filmed him. He was so pleased his story had finally been recorded. I spoke with Bedabrata after his film’s opening, as well as throughout the Festival, and found him to be as pleasant as he is talented. The film deals with the facet of Indian Independence – an unforgettable story – that had never been told to a broad audience before. In telling it, Bedabrata created an epic. I liked the fact that it was such a bold plan: children almost toppled British rule. It was very fantastic, and the film captured it so well. This beautiful film was shot mostly during morning hours. The resulting lighting, coupled with the director’s use of shallow, depth-of-field perspective creates a stunning, historical tableau. Composed over just five days, the musical sound track for the film is sad and romantic and adds to the film’s layers. It’s like watching a painting in motion. Bedo has the eye of a Renaissance artist. You’d never imagine this is his first film. Wow, what a debut. He directs like a master. Add to that, the courage and madness in taking on a political story of resistance and making it ring true to us today. Bedo’s film stayed with me days after I had seen it. 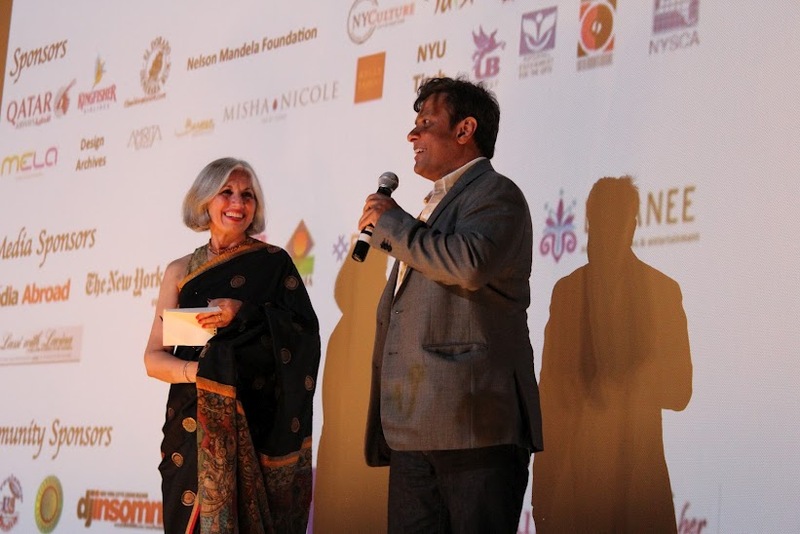 Indian Film Festival. 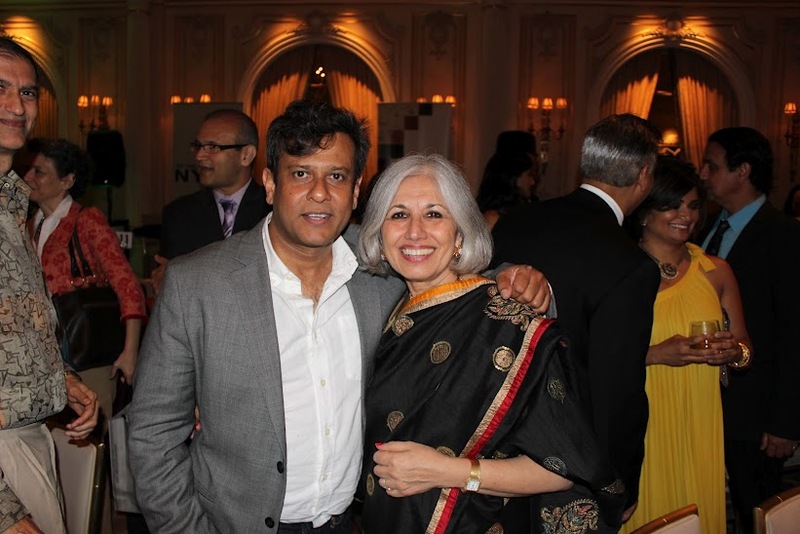 Photo courtesy of Archana Desai. Chittagong is a film about celebration of human spirit – a spirit that refuses to give in the face of injustice and adversity, and triumphs at the end. Today, when there’s a striving for change all over the world – from Greece to Wall Street, from Africa to Asia – I hope my film reminds everybody that David can win the battle against Goliath. The reason for the Uprising’s initial success was due to its leader Masterda Surya Sen’s brilliant and audacious strategy to capture the two main armories and then destroy the telegraph and telephone office and railroad line. They also planned to capture the British Raj officials in the European Club and raid the local armories for weapons, however these two plans went awry. Retreating to the countryside, it was only a matter of days for several thousand troops to surround them. By the end, over 80 British troops and 12 of the revolutionaries lay dead. The number of dead may have been as high as 150 as their bodies were actually thrown in the Bay of Bengal to prevent an accurate count. Surya Sen was eventually betrayed, arrested, and hung – but for a good three years he eluded capture, protected by Muslim peasants, even though he was of Hindu religion. But there temporary victory lay the groundwork for India’s independence.